Many of Thailand’s underprivileged children are unaware that their eyesight is less than perfect and wondering why they were having headaches on a regular basis. We have all experienced the problems of crossing a busy road in Pattaya, particularly when a motorcycle drives the wrong way along a one way street but, for those with impaired vision, this fete is almost suicidal. 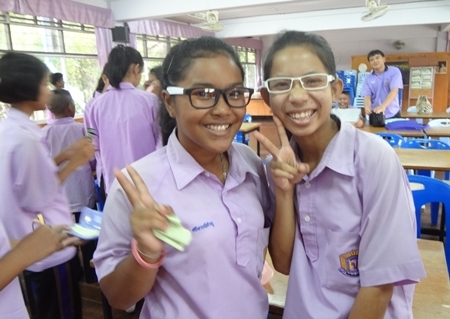 A survey carried out recently shows that up to one third of children in Thailand need glasses. But back in the classroom the problem does not dissipate. All over Thailand, and in many other underprivileged regions of the world, children are oblivious to the fact that they have poor eyesight. Not being able to see what the teacher has written on the board or having difficulty reading essential text books is a burden to their future development and the opportunity to pursue a worthwhile career after their education has come to an end. 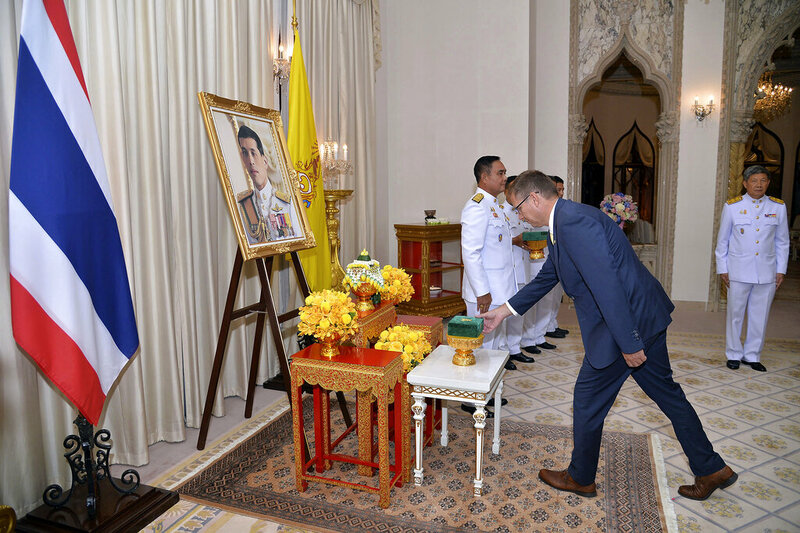 Unfortunately many families in Thailand are not in a position to have, what would be to them, an expensive eye test and then to have glasses made for their children. YWCA president, Praichit (Noy) Jetpai presents eyeglasses to a happy lady. But YWCA joined forces with Dr. Pannet and F/O Dave Anderson many years ago which provided children with the opportunity to have eye tests and, when needed, to supply them with glasses. 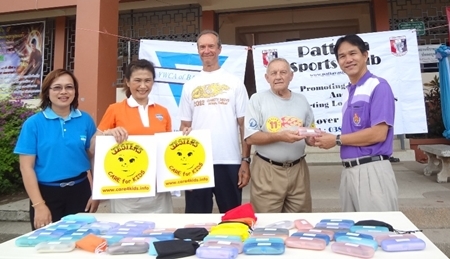 The scheme is still in operation but YWCA are now working with Pattaya Sports Club and Jesters, both of which have donated funds to enable the Sight First scheme to continue. An optician in Naklua, BV Optics, have kindly volunteered to help advance Sight First to the next step and they have recently tested the eyes of 400 children at 4 different schools. They found that 300 needed glasses to varying degrees, which they now have. As you can see, they are of modern design and you will be pleased to hear that the children have a choice of colours. The boys raised an eyebrow when confronted with pink, red and other brightly coloured frames but the girls were delighted with the choice. YWCA, Pattaya Sports Club and Jesters have a genuine sense of achievement when they see the smiles on the children’s faces. Well done everyone and more children will benefit next year. “Do we look OK?” – Schoolgirls are always fashion conscious. A case is provided, leaving nothing to chance. Some of the children that received their glasses cheer for their better eyesight. (2nd left to 2nd right) Nittaya, Woody and Bernie proudly handover the eyeglasses.